Publication of the Peninsula Rail Task Force’s 20-year plan on the needs for the South West has been postponed until after the summer. PRTF planned to submit a report to the Government detailing its requirements for improved journey times to and from the South West, along with detailed plans for resilience for the rail infrastructure. This was due to be published in July (RAIL 802), but PRTF considered it did not have all the submissions delivered in time for the report to be strong enough. Councillor Andrew Leadbetter, chairman of the PRTF, said: “I can confirm we have opted to reschedule the publication of the 20 Year Plan report until after the summer. We need to make the strongest possible case to Government for rail improvements. To do this, we require information that is not yet in the public domain. 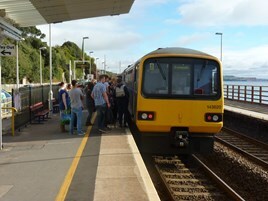 For the PRTF's views on Dawlish Sea Wall capacity, read RAIL 803, published yesterday (June 22).